Our stand at Hampton Court Palace Flower Show 2016, Gold Medal. Why don't my cannas flower? 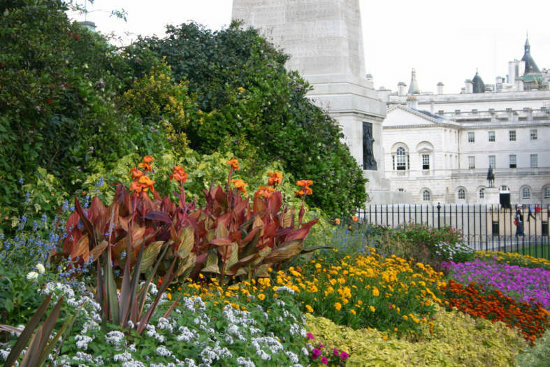 Welcome to this, our 20th annual catalogue of cannas by mail order. Cannas are gorgeous and spectacular plants, with big leaves and beautiful flowers. They give an exotic and subtropical effect, and are rightfully popular in municipal plantings, and in public parks and gardens. But they are surprisingly robust and carefree plants. They are drought-hardy, yet can be grown standing in water. They require no maintenance except an occasional feed. They flower all summer long, and at the end of the year they will have multiplied many-fold. Cannas grow and flower very quickly. 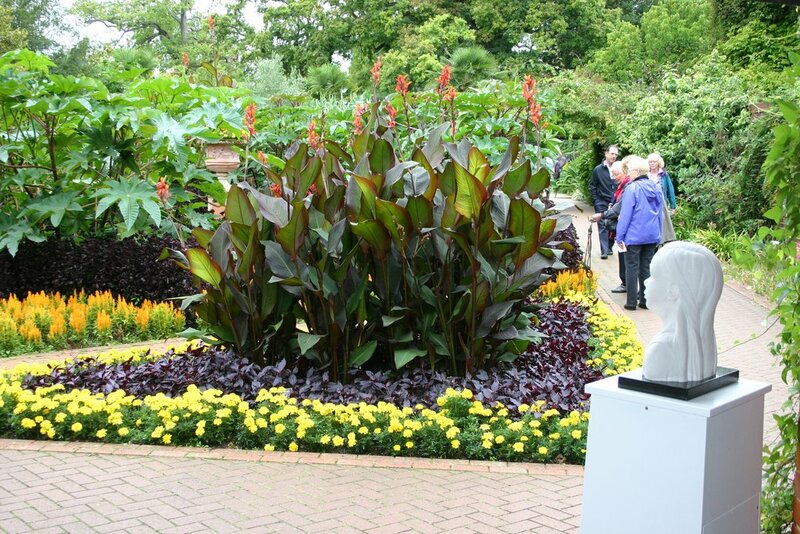 Cannas grown from small plants potted up in February/April should typically be flowering by July, and should continue flowering until the onset of winter. 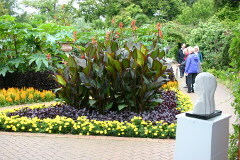 If cannas are slow to flower, it is usually because they haven't been fed. Our catalogue includes the best heritage and modern varieties. We take great care that each variety is correctly named, and also that our stock is free of diseases and pests. 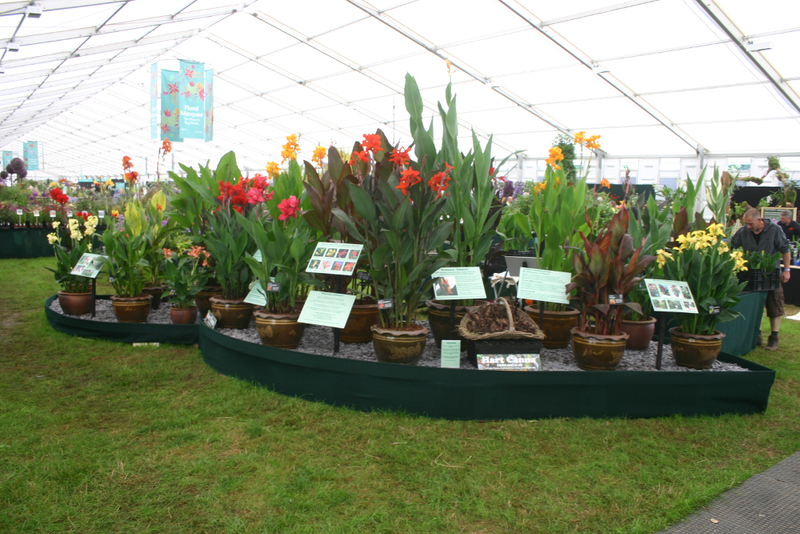 Customers are welcome to call at our nursery, to come to our Open Days, and to see us at some of the major shows.